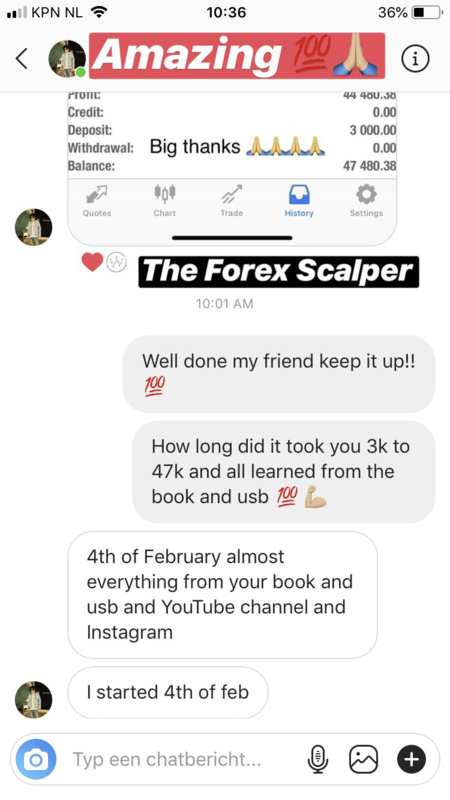 When I initially came across theforexscalper’s Instagram account I was blown away by the results and money that he was making. 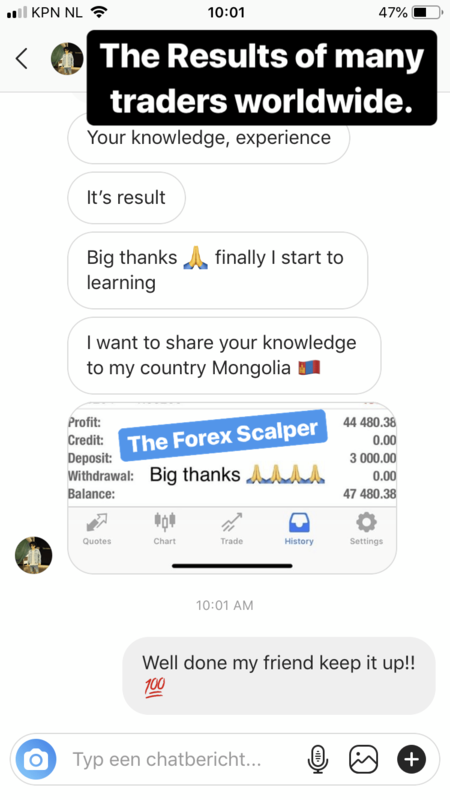 I didn’t know much about forex at the time and had already spent a lot of money on signal providers and scams so was reluctant to give another stranger more of my money. 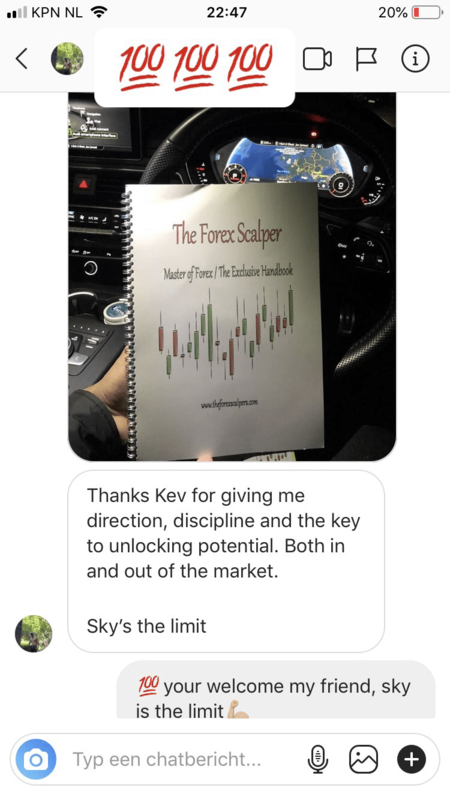 After about 4 weeks contemplating it and messaging Kev during this period, at no time did he try any hard sell, only provide evidence of the groups and education that he provides. I finally decided to sign up and have never looked back since. The information and education he has is great, from books, pdf’s to webinars and tutorials. New content is always been produced, along with the website and new memberzone. 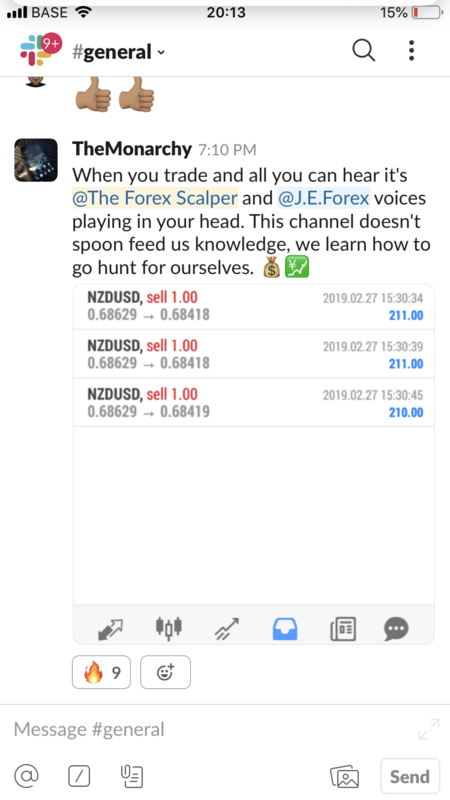 I have learnt so much about forex by having access to all on offer from Kev, the community of traders that chat daily about setups and strategy is amazing in itself. 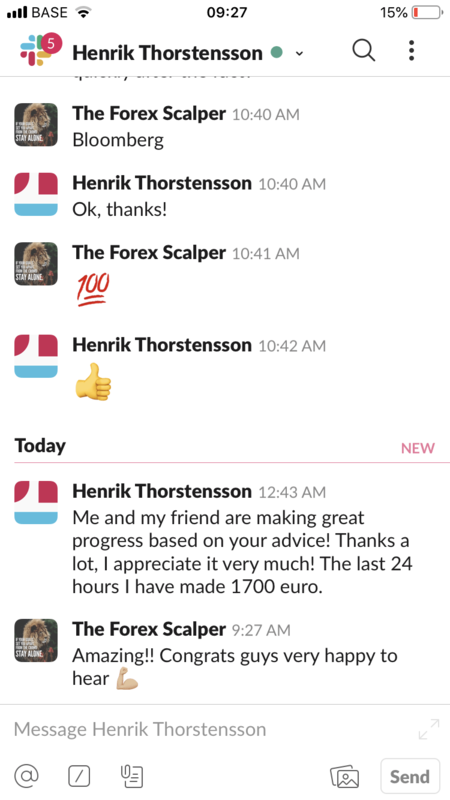 Trading Forex is very hard and takes so much patience and discipline which you have to overcome yourself, but having access to this group and working together sure does help overcome this in time. 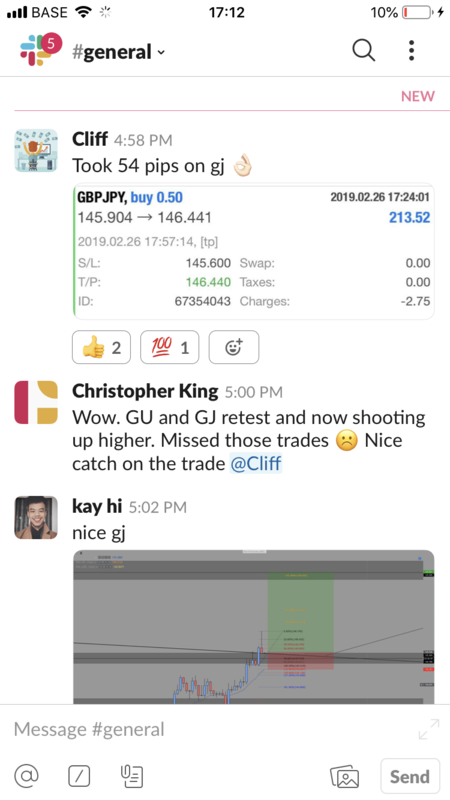 I can’t thank Kev enough for providing the support he does, always around to answer questions daily and provide his thoughts on the market. 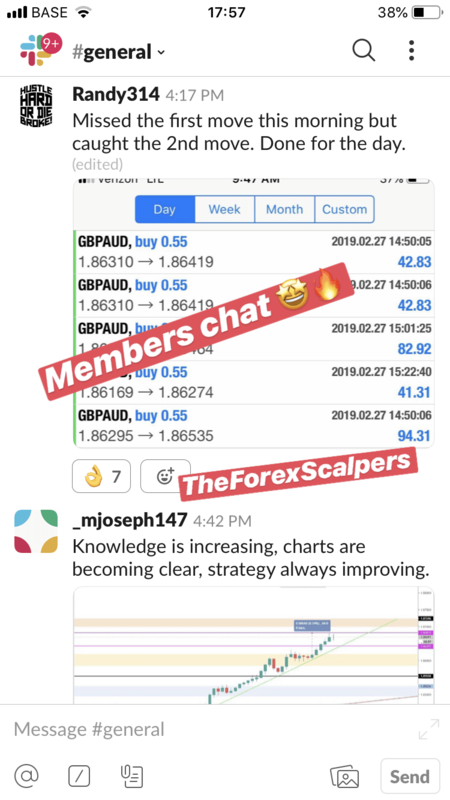 I would strongly recommend anyone to join who wants to gain a better understanding of forex, especially scalping and are willing to work hard continually until consistent. 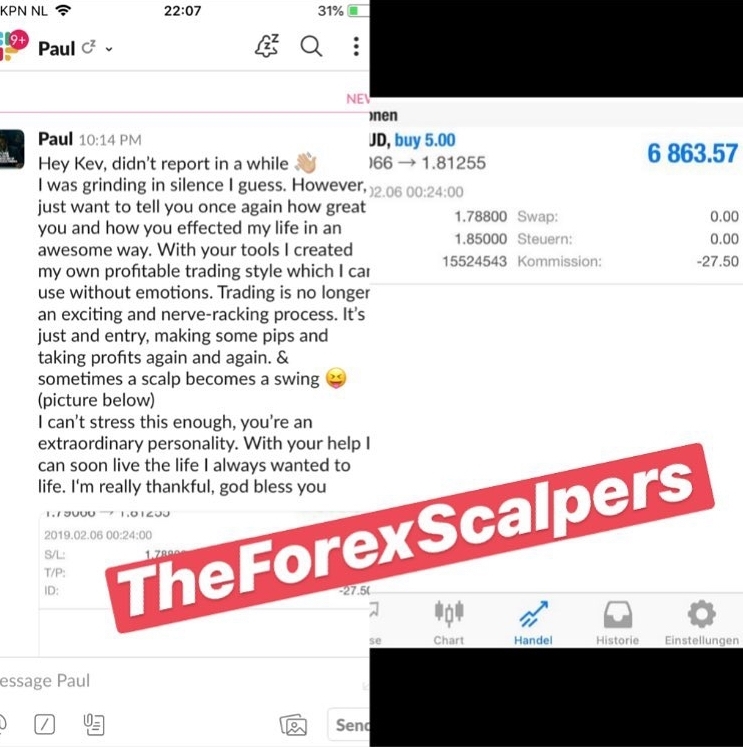 Hello kev (theforexscalper) I joined your team in last month, the knowledge which you provide us is amazing… whole memberzone is full of knowledge..
You are always against the signal providers, so you always force us to study and doing hard work.. I am very lucky, because I got mentor like you. You are very helpful. You cleared my each and every doubt.. 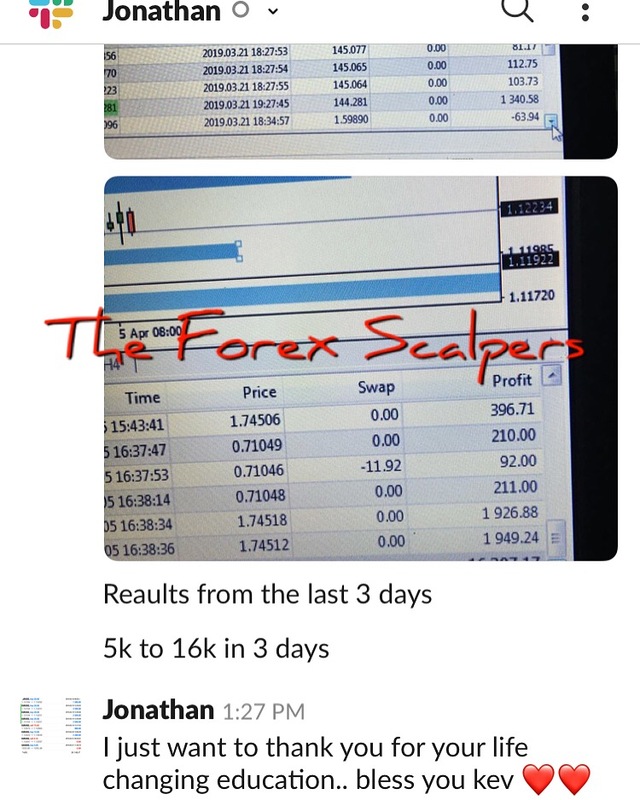 Everyday I am improving my win rate.. You always ready to help newbies like me.. $250 is nothing, you can charge $2500 like other mentors.. But I know your motto is to help people and not to earn from them.. I am writing this email to you to convey my regards to you. I have been trading for a while, but I was never been consistent. I was unaware of what exactly I was missing on. But since I got in contact with you and joined your mentorship, things have changed. I have been more consistent and more disciplined with my trading. 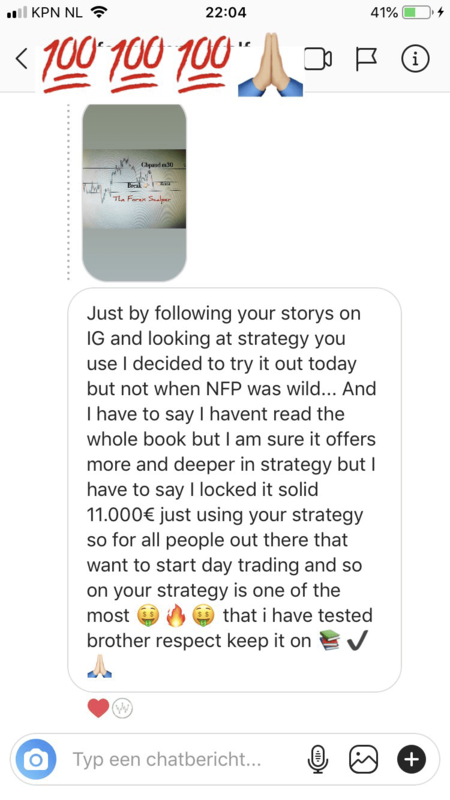 There are 1000s of strategies and mentors available but I am sure that I got my hands on the best mentor. For other mentors, mentorship is just another another source of income, but for you its a passion to help others and see them growing. I am not the only who is been benefited under your wings. There are a lot of other members who have gained a lot of knowledge and skills from you. All the members are just like a family member and always there to help each other and improve others. I haven’t seen this closely knitted group ever before. 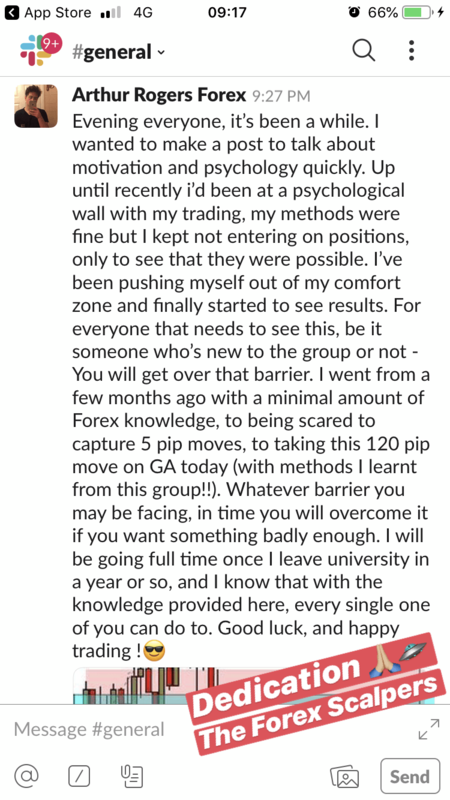 I can recommend your mentorship to anyone even though if they know nothing about Forex. 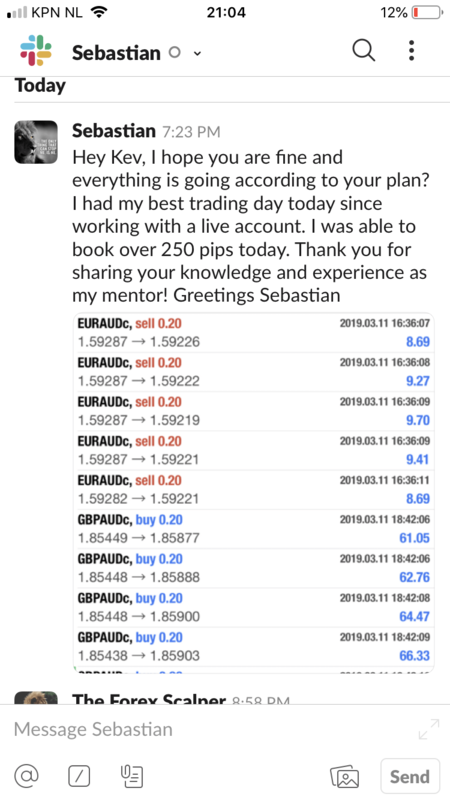 Your mentorship program is suitable for everyone as long as they are dedicated to forex as much as you are dedicated to forex and to your student. 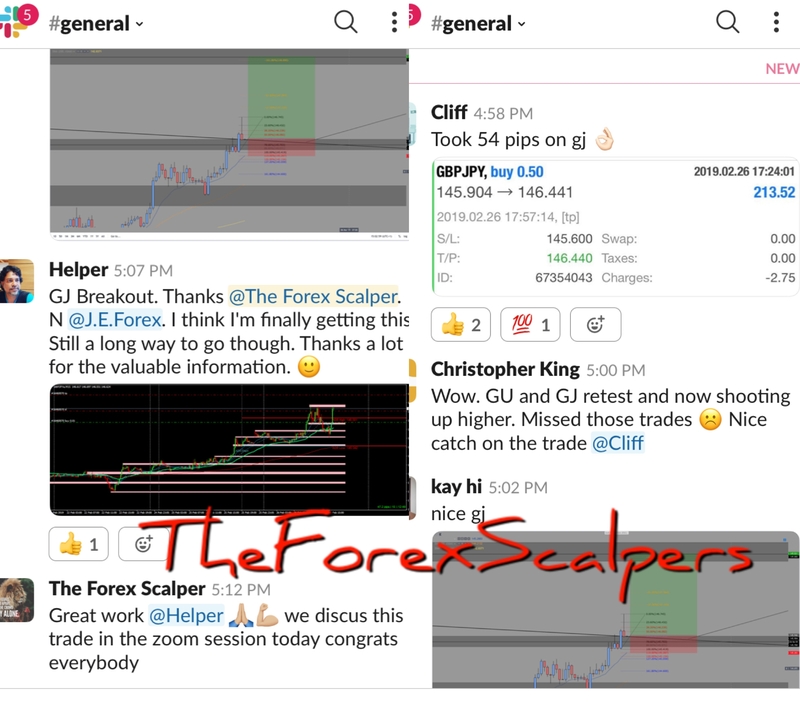 I can write a lot but would like to end with A big big big Thanks for changing my way to look at the market and giving new direction to my trading. Keep trading and keep growing white helping others to grow. Firstly, I would like to start off with what a great and humble guy Kev is. 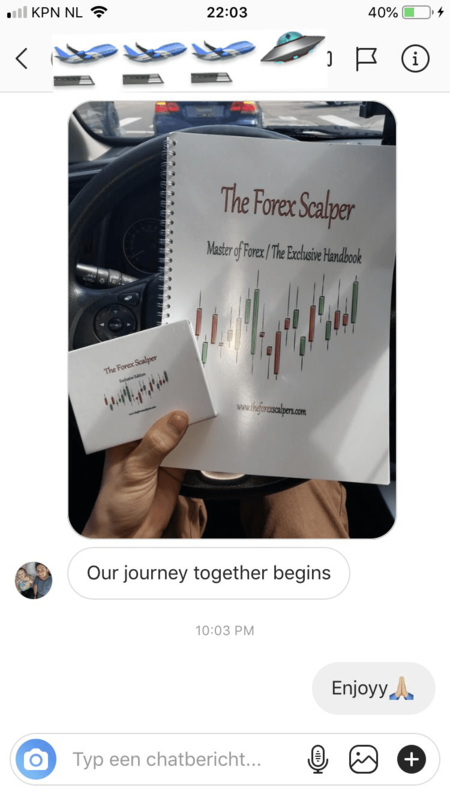 Not only has he spent many years mastering the craft of the Forex market but he is willing to pass his knowledge on to such a great community for such an amazing price! The content which is provided is so valuable. The community he has built is incredible, everyone is there and willing to step out to help whenever you are in need. 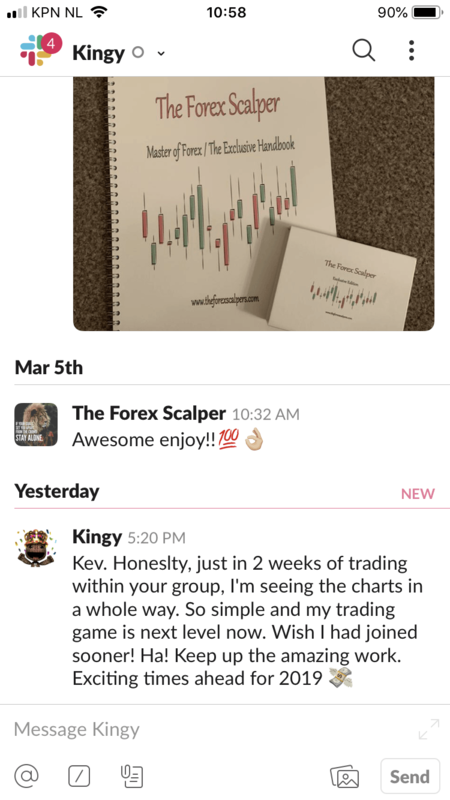 We are asked to upload our weekly roadmaps for Kev and his mentors to look and advise where you could make improvements, aswell as bad trades.